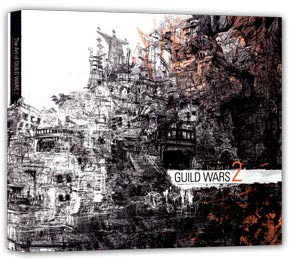 Guild Wars 2 will have a hardbound book packed with 128 pages of eye candy by ArenaNet's award-winning artists. It's properly called The Art of Guild Wars 2 and features a collection of concept art that offers a long-awaited glimpse into the world of Guild Wars 2. Within the pages fans will visit the undead realm of Orr, meet the mysterious sylvari, and behold the fiery war machines of the charr. A must-have for any Guild Wars fan, in ArenaNet's words.